Starting out as a young investor can be overwhelming, and a lot of young investors today are so stumped by the nerve-racking decisions they have to make that most simply end up not investing anything. Indeed, though I’ve always heard that investing your money can eventually lead to great returns and seems like the “right thing to do”, I’ve nevertheless never realized how to dive into the investment world. Hence, I ended up simply plopping a large majority of my money into a traditional savings account, accumulating a meager 0.6% interest rate over many years – years that could have been spent in a stock, bond, or even a fund. After talking to many of my friends, I’ve discovered that most of them were just like me, anxious about their lack of investment knowledge, eager to learn about personal finance, but entirely baffled about where and how to start to learn about investing. Indeed, I felt frustrated when the high-school curriculum did not teach anything about personal finance, and even more helpless when online resources turned out to be generally vague, unorganized and too unfamiliar to beginner investors. Moreover, I couldn’t even turn to my parents for personal finance or investment help – they apparently don’t teach personal finance in graduate school or engineering courses, either. Nevertheless, my entire perspective on the daunting world of investment changed when I went to a keynote event featuring David Chilton – and received a signed copy of his book, The Wealthy Barber. 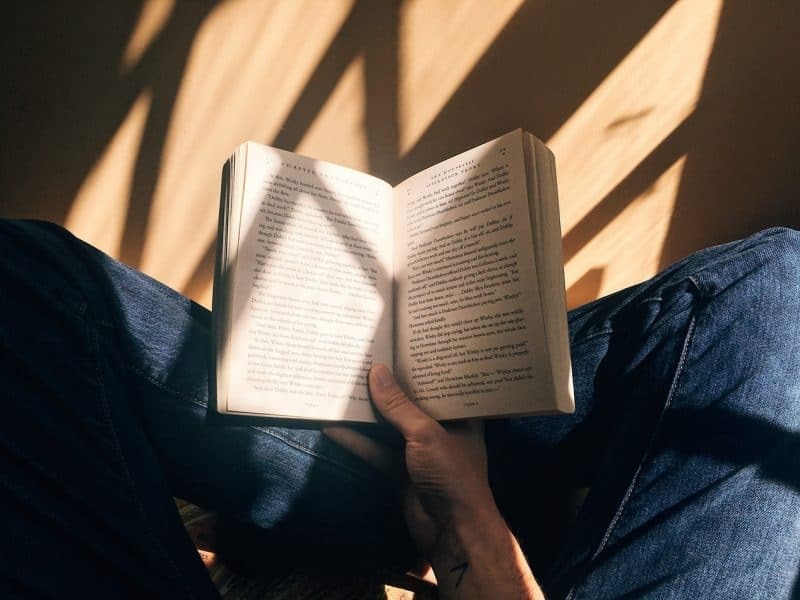 After devouring through his book, I actually realized that traditional books were in fact great resources for an all-encompassing investment guide, and further tailored exactly to the depth level that you may want to learn about. Whether you want a worry-free investment life or an active stock-picking journey, I’ve listed some of my favorite titles and must-reads below that covers everything from personal budgeting basics to “DIY” stock analysis. Are you tired of online investment guides and articles always being tailored to US residents? Here’s the Canadian version of an all-encompassing masterpiece for complete personal finance novices. In a short, sweet, and humorous way, David Chilton (a Canadian businessman and former Dragon from Dragon’s Den) offers some seriously valuable advice on personal finance in Canada. In a mere 223 pages, the book uses funny anecdotes to present a unique perspective on money, and essentially crafts a life guide to dealing with money in Canada. This book was my first personal finance book, and something that both intrigued me and introduced me to the world of personal finance and investment – definitely a worthwhile read for everyone, and especially so if you don’t know where to start! Having trouble controlling your spending urges? Or do you simply just want to get rich? Ramit Sethi (Personal Finance Advisor, Entrepreneur, and Stanford grad) offers a complete personal finance guide on how to manage money. In his book, Ramit unravels a six-week program that helps you develop a system (and habits) to manage your own money automatically and effectively, allowing you to both spend your money guilt-free and get rich, all the whilst minimizing your thoughts about your own finances (by automating them!) to concentrate on your life goals. The book also uses anecdotes to present some of the best personal finance tips and tricks I’ve ever heard of — undoubtedly a must-read if you’re just starting off with personal finance and investing. Taking an interest in the stock market? Don’t want to just dump your money in the S&P 500 index? This classic book by Burton Malkiel (American economics professor and author) stands out as the perfect introduction to the modern stock market. Malkiel presents his thoughts on everything from portfolio management to the efficiency of the stock market, striking fundamental principles about investing and the stock market as a whole. This book is an essential read for investors looking for a better understanding of the stock market, and personal finance as a whole. Though this book may feel rather daunting, I can assure you that it actually presents the scary stock market in a reader-friendly way, and was actually the first book that allowed me to clearly understand how the investment world works. Want to know how Warren Buffett became the most renowned investor of all time? The Intelligent Investor, a timeless classic, stands as the most prominent guide on personal finance, stock picking, and value investing. Ben Graham (Investor, Professor, and Buffett’s mentor) presents some invaluable advice on investor psychology, value stocks, and delineates a thorough guide on how to pick stocks with a margin of safety. Moreover, the revised version offers some (often humorous) commentary applicable to examples related to the modern era. For investors willing to take a step further into stock-picking and value investing, Buffett’s favorite book is definitely a must-read. The following books are some insightful and helpful books if you have more interest in general stock-picking and finance, or if you’re simply looking for something more in-depth to read. Another one of Graham’s masterpieces, Security Analysis gives in-depth examples on how to analyze various equities from a fundamental perspective. Though the examples are fairly outdated as compared to current market valuations, this book nevertheless stands out as a crucial read for investors interested in in-depth analysis of securities. Disclaimer: This book might be a bit dense for investors not interested in the topic of analyzing stocks, bonds, and other such securities. John Bogle, the founder of the Vanguard Group, presents a short and sweet thesis on index fund investing, the bedrock of a safe equity investment. He emphasizes both the consistent performance and lack of risk of index investing, as opposed to trying to “beat the market” through stock-picking for the average investor. Indeed, If you’ve read some of the books that I’ve listed above, you’ll see the term “index fund” come up a lot. Warren Buffett actually thinks that investing into index funds is the best allocation of money for the average investor! This book can definitely help you gain some deeper insight on index funds.